The Global Express has long been my favorite corporate jet. The last day has finally arrived, and like I said earlier, I have saved the best for last. For the twelfth and last day of Avgeek Christmas, I strongly recommend you buy your favorite avgeek an airplane. 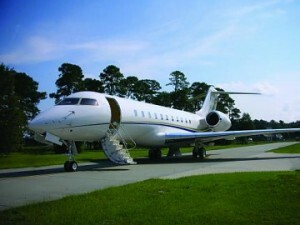 Okay, so maybe a Global Express is not the right plane for everyone, or most people actually. If however it is in your price range, please send me an email with your contact information, we need to become friends. For the rest of us, there are still quite a few options believe it or not. The SD-1 minisport is one of many LSA’s that really opens up flying to more people. One option if you are looking to buy a new plane at a comparatively reasonable price is a Light Sport Aircraft (LSA). Not only are they cheaper to buy, the training is simpler, and you don’t even need a special medical certificate. 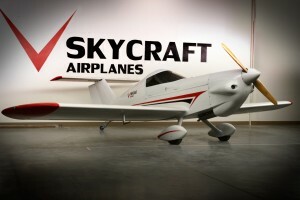 There are quite a few out there now, but one that I found that looks like a lot of fun is the SD-1 Minisport by Skycraft Airplanes. This LSA cruises at 120 knots with a range of just under 600 miles. The engine is so efficient that it burns only 1.8 gallons per hour at cruise, and has an overall operating cost of only $12/hr. It even has a glass display in the cockpit with GPS and wings that can be removed to transport it in a trailer if you want to. All of this can be yours for the reasonable price of $55,000 and only a $2,000 deposit. In the event that price is still a little to high for you might I suggest something in the used aircraft category. As always there are tons of options depending on what you are looking for. Sites like Browse the Ramp and Aviation Classifieds will give you plenty of fun stuff to browse through if you have a free afternoon. Here are a couple I found recently. The Piper CUB is an iconic aircraft that any avgeek would love to fly. 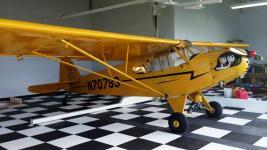 Again in the LSA category, I found this Piper Cub for sale at only $33,000. The Cub is one of those planes that just about every avgeek can admire. Even people who are diehard followers of a certain company will often have a soft spot in the heart for the Cub. I don’t even really know what it is, but they are just a fun little plane that hearkens back to the early days of aviation. The second one I found is an experimental tail-dragger that you may run across at your local airshow because it is also fully aerobatic. 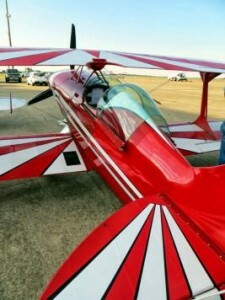 This Pitts S1S is simply stunning and according to aerial demonstrator Lauren Richardson, “They are the best fun you can have with your clothes on. Trust me!” That right there is a pretty ringing endorsement if you ask me, and all of that fun can be yours for the rock bottom price of only $31,500. If you think about it, I bet most people spent more on their last car, and I don’t think any car could be this much fun at that price. The Pitts S1S is a fully aerobatic plane that will take you for a trip every time you start it up. I for one was surprised to find such nicely maintained planes at prices that low, but there is still no way I could buy a plane even at that price as I am sure most of you couldn’t either. But that’s okay, there are still a few more options that I had never even really considered until just a couple of weeks ago. If you read my blog very often, and I hope you will, then you probably saw my post titled, “Becoming a Pilot at a Discount”. The post was mostly just my thoughts on how we could make flying cheaper, but the comments were what truly inspired me. One person in particular, Jeff, left a string of comments about how restoring an older aircraft is possible for just about anyone who is willing to do the work. The best advice that was given over and over was to find a mentor who can help you pick the right plane and get you through the process. Another great resource is your local EAA chapter who is devoted to helping with experimental aircraft in particular, but any budding aircraft enthusiast. A couple of other sites that were mentioned for finding aircraft were Barnstormers.com and eBayMotors.com. In just a few minutes of searching on those sites I found dozens of aircraft for less than $20,000 and many below $10,000. Obviously, the cheaper they are, the more work that may be involved, but that sounds like part of the fun to me. One of my recent excitements that I hope to carry through the rest of my life is the desire to spread aviation to more people who have the interest but just don’t know where to start, or don’t think it is even possible for them. I know those people are out there, it is just a matter of getting them involved. I know I started this post with a ridiculous option that most of us couldn’t afford with our lifetime earnings, which is still fun to dream about. However, I hope that I have shown you in some small way that owning your own plane is a very real possibility. If I haven’t, go read through the comments from the post that I mentioned and maybe the great people who commented there can get you just as excited as I am. My Christmas Day is coming to a close here on the other side of the world, and it has been a fine day with some good friends around some awesome aircraft. I hope that you are able to enjoy this day doing something you love with the people that you love, because that is what these holidays are all about, people. So whether it is Merry Christmas, Happy Hannukah, or whatever holiday you may celebrate. My best wishes to you and your family, and lots of wonderful aviation adventures in the new year. That is a nice looking livery on a beautifully designed aircraft. 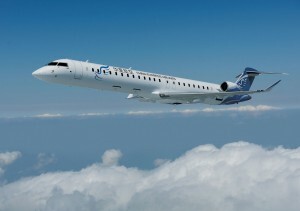 Bombardier has signed their second firm order of the week after the order earlier this week with China Express Airlines for 16 CRJ900 NextGen Aircraft. This order by Iraqi Airways was not much of a surprise as it follows a letter of intent signed during the Dubai Airshow last month. This agreement includes firm orders for five CS300 mainline jetliners as well as options for up to 11 more aircraft that would total approximately $1.26 billion if all of the options are exercised according to the press release below. While these orders may pale in comparison to the ones announced by the big boys at Dubai, they fill an essential niche in these growing markets, that are arguably more important to these smaller nations. What should also be noted is that Iraqi Airways is a repeat customer having purchased six CRJ900 NextGen aircraft a few years back. The growth of aviation in the Middle East is impressive to the say the least so it is vital that all aircraft manufacturers are able to get their piece of the pie. The ability to gain repeat customers speaks well for Bombardier and their future success in the region. 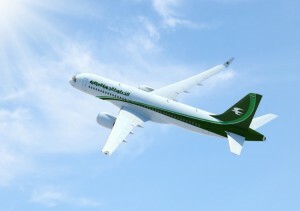 Bombardier Aerospace today announced that Iraqi Airways, the national carrier of Iraq, has signed a firm purchase agreement to acquire five CS300 mainline jetliners. The agreement, which also includes options on 11 CS300 aircraft, follows a letter of intent (LOI) to purchase the aircraft that was announced by Bombardier on November 19 during the Dubai Airshow. As previously announced, based on the list price for the CS300 aircraft, the firm order is valued at approximately $387 million US and could increase to $1.26 billion US if the 11 options are converted to firm orders. As of today, Bombardier has booked orders and commitments for 419 CSeries aircraft, which include firm orders for 182 CSeries airliners. Some 16 customers and lessees have joined the CSeries aircraft program.